Product prices and availability are accurate as of 2019-04-18 09:40:29 UTC and are subject to change. Any price and availability information displayed on http://www.amazon.co.uk/ at the time of purchase will apply to the purchase of this product. 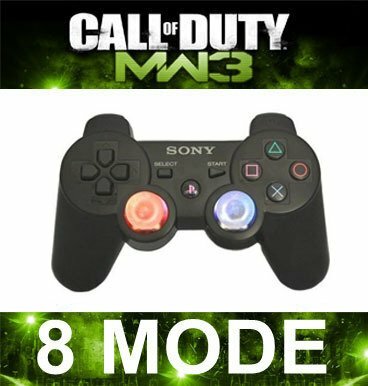 This 8 modes modded rapid fire PS3 controller is 8 different settings allows for maximum compatibility with the most popular FPS games, such as Call of Duty 4/5/6 (MW2), COD7 Black Ops, Rainbow 6, GTA , Project Origin, Farcry2, Haze, Conflict, Fear, Brother in Arms and so on.